Richard has been busy juggling many different projects this year, including the publication of his huge new short story collection A Long December, but he is reading The Talisman right now and will be working on that essay soon, and Stephen King Revisited will be busier than ever in 2017 with more great essays and memories. Richard’s official website has launched at RichardChizmar.com and you can subscribe to his mailing list on the site’s contact page. Remember, you can also follow Richard on Twitter for his personal updates and other posts of interest to readers and collectors and Stephen King fans! 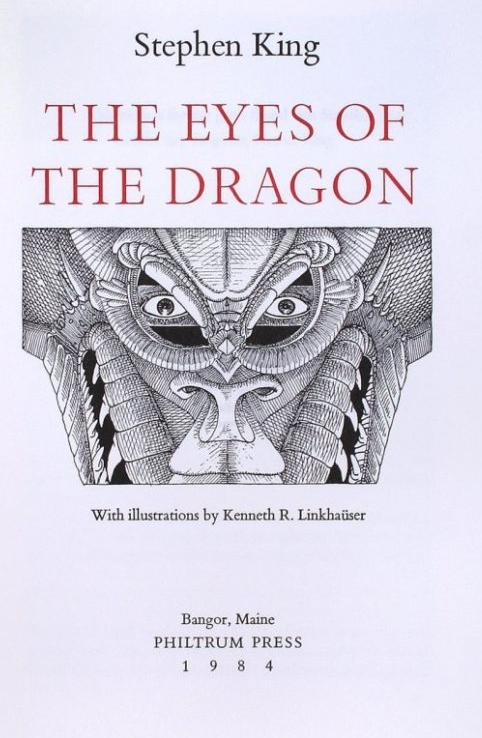 When I was eleven years old, my parents bought me a hardback copy of The Eyes of the Dragon for Christmas. I set the book aside initially, because I had no particular interest in medieval fantasy. Dungeons and dragons just weren’t my thing. But after a few days, I got curious and started reading—and I was instantly captivated. What really got me was the author’s voice. 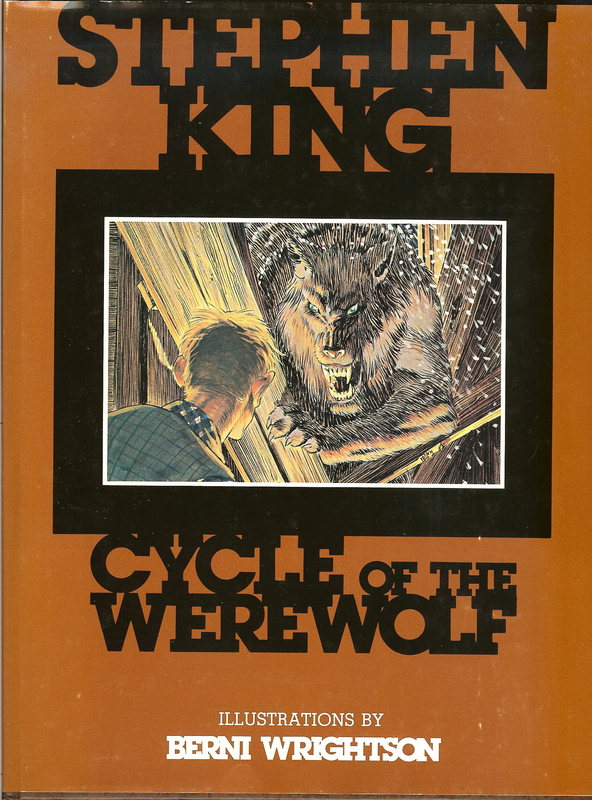 Stephen King conveyed a sense of awe about his fictional world, constantly dropping hints that there were countless stories within his story. It was as if the world of his imagination was comprised of fictional fractals. Even more importantly, he expressed a contagious curiosity about his characters. I felt like he knew them all as real, flesh-and-blood people and cared about every move and every decision they made. As a result I cared about them too, and I quickly realized that this myth was not really about dungeons and dragons, but about human relationships—particularly the relationships between two fathers and two sons. Well, this should be an easy one. When I began this journey many months ago, I admitted that there were two Stephen King books I had never read before. I purposely kept both titles a secret, promising to only let the cat outta the bag once I had reached each of the two books on my Stephen King Revisited list. Roadwork was the first of the pair, and despite its overwhelmingly dark nature and (at times) rough prose, I greatly enjoyed that initial reading and regretted not doing so earlier. And so now, ladies and gents, we come to the final Stephen King book I’ve somehow managed to never crack open: The Eyes of the Dragon. …and no thanks. I’ll pass for now and get around to it one day. When I have nothing else tempting to read. He started working on the story, originally called The Napkins, in their house in western Maine. He wrote on a yellow legal pad in front of a woodstove while a screaming northeaster blew snow across the frozen lake outside. King had recently been working on The Talisman with Peter Straub, so the fantasy land of the Territories was fresh in his mind. He wrote The Eyes of the Dragon at the same time as he was writing Misery, working on one in the morning and the other at night, completing the first draft in 1983. Of all Stephen King’s early novels, Pet Sematary is the simplest and direst. A sustained riff on W.W. Jacobs’ classic “The Monkey’s Paw,” it cleaves to its twisted source. From the very beginning the reader knows the story: someone is going to die, and someone who can’t bear to let that loved one go will make a desperate bargain to raise him from the dead. What happens then—the awful complications—is what the reader wants to see. Was there ever a balder promise? And by 1983, King’s constant readers didn’t have to wonder if he’d balk at killing a child. Just two years before, the author who’d spared Mark Petrie in ‘Salem’s Lot and Danny Torrance in The Shining had already crossed that line in Cujo. I can’t remember when I first read Pet Sematary or where I was when I first read it (unusual for me). All I really remember is the story, and my intense reaction to it. 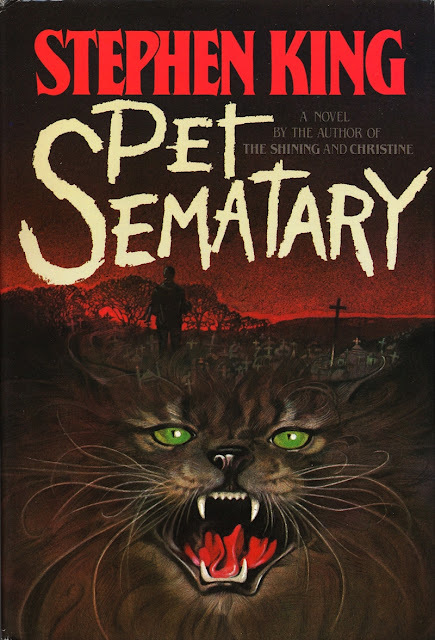 I was a freshman in college when Pet Sematary was published in November 1983. My best guess is that I read it within a year of publication. I do recall devouring a hardcover edition that I believe my sister, Mary, gave to me as a gift (she blessed me with several of King’s books during those early years). So…I was young. That much I know. Brand shiny new to the perils of adulthood. Wide-eyed, unmarried, and childless. And still Pet Sematary destroyed me. ‘Salem’s Lot and Carrie and The Shining had thrilled me and scared me – but Pet Sematary was different. Once things went bad (and this happened quickly by King standards; only about a third of the way into the book), they not only stayed bad, they kept getting worse. Much worse. The rest of the book was a dark spiral and there were no reprieves to be found anywhere. The story was grim and unrelenting and profoundly unpleasant…yet I couldn’t stop reading.